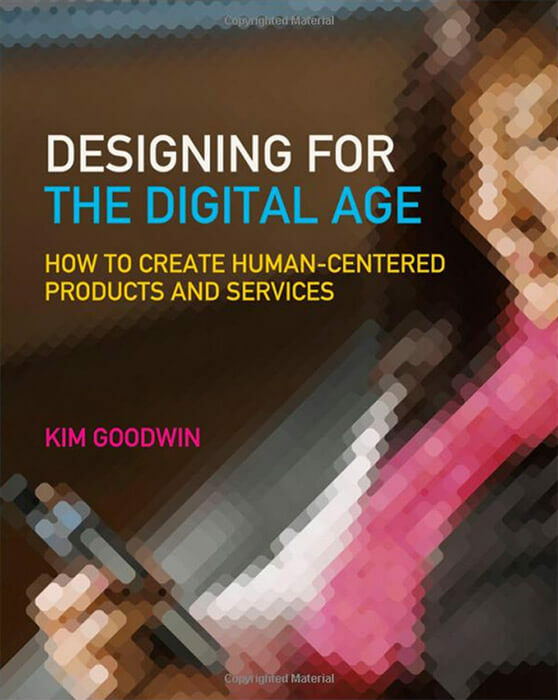 We recently interviewed Kim Goodwin, consultant, speaker, and author of Designing for the Digital Age. Kim shared how to make user-centered values pervasive in your organization. The people I work with are design leaders, product managers, and senior executives. I think they all approach me for slightly different reasons, but the thing they have in common is that they have a good intention to get something user centered out the door, and they’re just not executing it. Executives are confused by this because they’re saying, “Be user centered!” And it’s not working. I think designers and product managers tend to feel like either the values of the organization need to change, or that they’re doing their best and they know how to be user centered, but they’re not able to get traction in the organization. We like to think that design is a thing that designers do. But in fact, the user experience is not made of design; it’s made of decisions that a lot of different people make. 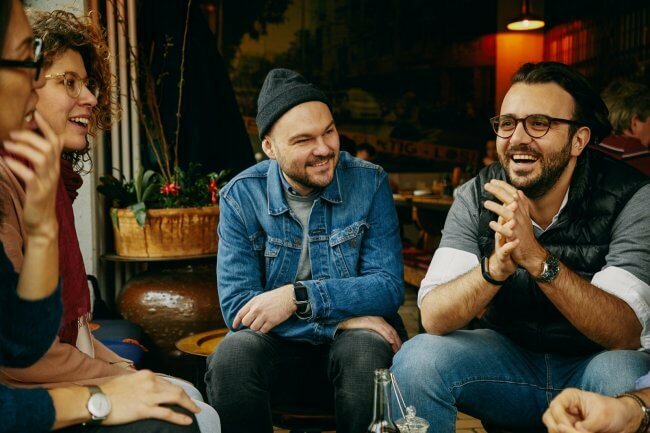 Those people are both on the team and outside of the team—they’re the customer service reps, the CEOs, and everybody who creates that experience. When working with a new client, I usually start by interviewing people at different levels in a lot of different roles about projects that have gone well and projects that haven’t gone as well. I treat it like a user interview for a product, because in a sense, that’s what we’re designing. We’re designing the way you design. All of these people are users of the design and development process. If you ask about how decisions have been made, the real issues start to become clear. As you see in a user interview that there are patterns in people’s behavior, there are also patterns in an organization’s behavior. They’ll say they value this thing, but the criteria that they use in a decision are almost always that thing. Or, the design team will say they approached getting people behind a design in one way, and it hasn’t worked. When you see how decisions are made, it becomes clear the team isn’t communicating in a way that works for stakeholders in that organization. Those patterns tend to emerge—whether it’s about the values or the practices—just from examining some past projects. As an outside consultant, you have more permission to ask deliberately naive questions. If you’re an insider, people will look at you like “You’re supposed to know that.” I think if you’re going to try it from inside, what you have to do is say, “Look, I really want to understand our processes from your point of view. So I’m going to ask you some intentionally stupid questions.” Just use a preamble so people will give you room to play dumb. That’s how you get the really interesting answers. But you will get a little bit of politics. I think that unless you’re new to an organization, people will assume that you have an agenda. So I often suggest that if you hire someone new, have them go around and do some of these interviews. They’ll be seen a little bit more like a consultant than someone people have an established relationship with. I think a lot of teams neglect internal stakeholder interviews when they tackle a new project. They assume the user research is the only kind of research that matters. But no, those executives have an agenda, and they have concerns, and they have pet ideas and assumptions that you need to make sure you understand on every project. People are reluctant to do that because they don’t want to look dumb inside the organization. Ask stakeholders to share the first experience they had as part of that project, how their input was sought, where they feel like their input was taken or not, how that decision ultimately got made, what were the criteria, what role did they feel like they had in that decision. Sometimes you have to feel your way through that conversation. There’s not one magic question. But if you can get people to open up, they will often tell you, “We really wanted to do it this way, but we ended making a trade-off for this other thing.” When you hear about multiple projects and you hear that same trade-off getting made all the time, that tells you what the organization’s actual values are. That will tell you either this is a value that needs to change because it’s problematic, or there is something here we can work with—we just have to make sure that we’re balancing it and adapting to it better. My first recommendation is, if you have a relationship with your executives, start by initiating a conversation with them. I also suggest you identify what you think that driving value is, and start figuring out how to work with it. If you can find a thing that your company already values and connect project decisions to it, you’ll start to get more momentum. For example, one of my clients in the chemical industry has a really deep commitment to safety. They weren’t getting a lot of funding for their design projects because it was all internal software. They realized if they presented usability as worker safety, they would get a lot more momentum… and they did. So identify the values your organization has and figure out how to use them. Then, if you find yourself in a situation where you need to start to shift values, frame them as design principles. That tends to be viewed as something that’s within the purview of the team and isn’t threatening. Come up with 6–10 things that are aspirational, and instead of telling the team, “Don’t do these 10 things we’re bad at,” frame them positively. Offer examples. Then start to use those in project decision making. You have to do a lot of internal marketing about those principles, but it does start to change the conversation a little bit. You need to work on the high-level values too, but you may not have the credibility to do that at first. Metrics are both good and necessary, and evil and misused. Every good product manager knows that it’s important to figure out the number you’re trying to move. The problem is that those numbers tend to be overly simplistic, and teams tend to over-optimize for them. Facebook, for example, makes money by showing you ads, so they want to drive engagement so that you see more ads and they make more money. If they focus solely on optimizing for that number, we know that some bad things happen. That’s why it’s important to take a step back from the metric and say, “What are the values, the things that we say we’re trying to enable?” Mark Zuckerberg says Facebook is about making people feel more connected. So instead if you say, “After this change we made to the news feed, do people feel more connected to other people?” By the way, what does “connected” even mean to humans? I would do some user research to understand the components of connectedness so we can measure it. For example, maybe I feel more connected to you if I feel respected and heard and understood. Maybe I feel more connected to you if I know more of what’s going on in your life. I probably feel less connected to you if all I see are political memes that you post. Do user research to identify the things that embody your core value—and then start to measure those alongside the business metric. Because a business metric without a value metric to keep it in check can easily get out of control. If you take a look at your user experience from the point of view of the users, see where the friction points are, and you find yourself saying “Oh, that’s a constraint—we can’t change that because person X said so,” then person X is a stakeholder. “We can’t change that because the legal team told us we can’t.” Then the legal team is someone you need to spend time with, educating them about what you’re trying to accomplish in a user-centered way. You need to understand what they’re trying to accomplish, and that way you can negotiate something that isn’t a giant wall of text of terms and conditions. Try to find a middle ground there. All of these things that we tend to view as constraints—a lot of them are not. They are just things someone has a constrained mindset about. Here’s one example from a user point of view. My phone company is also my landline internet provider. I was having problems with both my phone and internet, so I go to the AT&T website and they have separate support numbers and pages for phone and DSL. I pick one. I call the phone support number, and they send someone out. Phone tech looks at my system and says, “Ah, you need the DSL tech.” Okay—I call the DSL support number and they send out the DSL tech. DSL tech says, “Hmm, you need the phone tech.” So I call up and talk to the customer service rep, and she says, “My system only lets me schedule the phone techs. I can’t schedule the DSL techs.” So there’s a presumed constraint. I said, “Do you work in the same building as the people who scheduled the DSL techs?” She says yes. I said, “Is it possible to walk down the hall and talk with them about how you can get both of these people out to my house at the same time and then do it separately in your systems?” She said, “Oh! I guess I could do that.” It’s a mindset. We just have to help the different stakeholders understand that there might be other ways that are more user centered to accomplish what they want. They’re just not used to thinking in that way. So as designers, users, and product leaders, we need to help everyone make more user-centered decisions—and not just assume that we’re the only ones creating that user experience. is a design and product exec, researcher, speaker, and teacher. 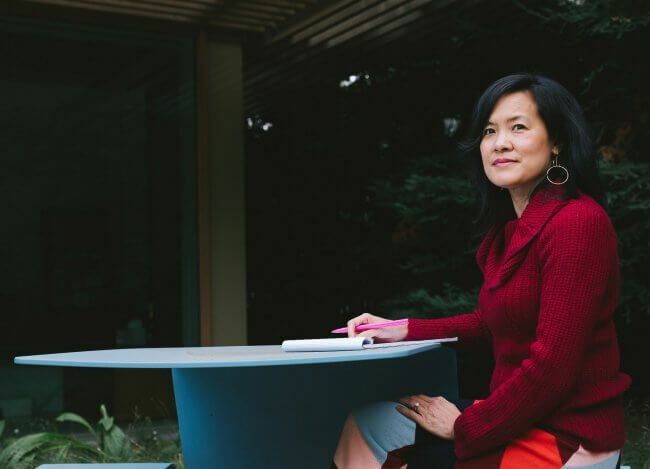 She’s the author of the best-selling book Designing for the Digital Age, a comprehensive guide to interaction, visual, and industrial design as well as the project management, user research, and consensus-building skills that go into building great digital projects. 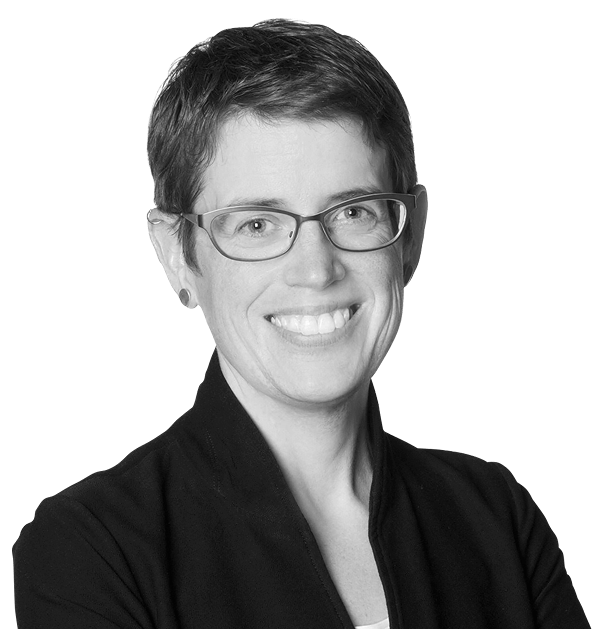 She’s often invited to speak about design techniques and design leadership at events around the world. For more updates, you can follow Kim on Twitter or LinkedIn.